The picture shows the vessel for which ICE in 2013 performed its first scrubber retrofit project, at the time a pioneering project. Photo courtesy: shipspotting.com and provided by ICE. Europe's largest independent ship design company International Contract Engineering (ICE) announced that it has won new contracts for scrubber retrofit design services for a series of container vessels for a leading European shipowner. ICE’s scope of work includes basic design, detail design and development of production information. The hybrid exhaust gas cleaning systems will be supplied by a prominent European supplier, said the provider of designs for commercial ships, naval & coastguard ships, and vessels. 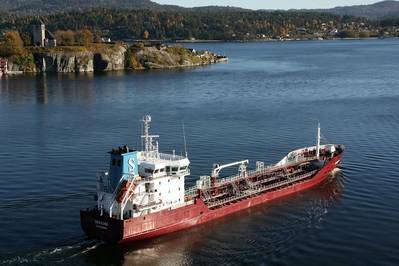 "Drawing on its extensive ship design experience, ICE has been active in the retrofit market both for Exhaust Gas Cleaning and Ballast Water Management systems," it said.